• Campaigns of the 20th Iowa Infantry: With Personal Reminiscences of the War by J. D. Barnes, edited by M. Lawrence Shannon (Camp Pope Publishing, 2016). "Between January 21, 1887, and May 11, 1888, Joseph D. Barnes of Le Claire, Iowa, wrote 66 articles for the Port Byron (IL) Globe, in which he recounted his experiences as a common soldier in the 20th Iowa Volunteer Infantry in the Civil War. In addition to the service of his own regiment, Barnes relates the record of the 2nd Iowa Infantry and the 2nd Iowa Cavalry, as many of the men in his own regiment had friends and relatives in the other two." The articles describe actions in both the western and Trans-Mississippi theaters. Editor Lawrence Shannon worked on this book with his wife Pauline, who completed the project after her husband's death. A general introduction, photo gallery, a biographical sketch of Barnes, endnotes, a Company K roster, a bibliography, and an index accompany the article transcriptions. • Texans at Gettysburg: Blood and Glory with Hood's Texas Brigade edited by Joseph L. Owen and Randy S. Drais (Casemate, 2016). This book is an edited documentary collection of Gettysburg diaries, letters, generals's correspondence, interviews, newspaper articles, speeches, and reminiscences from members of Hood's famous Texas Brigade (1st, 4th and 5th Texas plus 3rd Arkansas). The "speeches were given in the decades after the battle during the annual reunions of Hood's Brigade Association and the dedication of the Hood's Brigade Monument that took place on 26-27 October 1910 at the state capital in Austin, Texas." It will be especially valuable for those primarily seeking accounts written by front line privates and sergeants, of which there are many included. Editors Owen and Drais also contribute a brief brigade history, short introductory segments placed throughout, and endnotes. Jennings: "RIDING FOR THE LONE STAR: Frontier Cavalry and the Texas Way of War, 1822-1865"
Riding for the Lone Star examines the forty year development of a distinctively Texan way of war beginning in 1822 with Anglo-American colonial militia in Spanish Tejas dealing with various native threats and ending with the collapse of the Confederacy in 1865. In this study, author Nathan Jennings argues that Texas frontier society, in dealing with evolving conflicts with both domestic and cross-border enemies, created an adaptive mode of warfare that operated simultaneously in both regular and irregular spheres and was defined by a polity militarized by constant fighting and that employed short-term volunteer mobilization of well-armed mounted forces to deal with those threats. The colonial period between 1822 and 1835 witnessed the early creation of a localized Texas militia system that borrowed from the American ranger lineage and the mounted traditions of heavy Spanish cavalry and light Indian raiders. It was a binary system of relatively static militia home defense for scattered communities supplemented by small but hard hitting and proactive mounted ranging operations. Animal husbandry and horsemanship adapted to the environment were parts of the cattle ranching and cowboy culture of Spanish Texas that Texan fighters adopted for their benefit. Tactically, the early rangers would fight as dragoons, dismounting for precision firing using American rifles. With the administrative and protective neglect of Imperial Spanish and later Mexican government authority, the Anglo-American colonies in Tejas were entirely left to their own devices in terms of defense and largely allowed to self-govern. This fostered the development of a Texas nationalism, one heightened by having to collectively deal with constant internal and external threats to hearth and home. For the Texas Revolution of 1835-36, the nascent nationalism mentioned above would allow the scattered militias to combine into a cohesive army of infantry, cavalry, and artillery that would win the San Jacinto Campaign and gain independence. The effectiveness of the mounted forces in a variety of roles, with light cavalry directly engaging Mexican forces and rangers scouting for the army and protecting settlements against opportunistic tribal raids, firmly established them as the present and future of Texas state security. During the early years of the Texas Republic, a standing army was found to be both unpopular and ruinously expensive, but a compromise was found in the more formalized organization of Texas Ranger companies to meet the needs of the new nation. During the republic's middle period (1839-41), the population sharply increased through immigration and Rangers were the spear point of rapid territorial expansion in all directions at the expense of the Apache, Comanche, Cherokee, and others. With all sides targeting population centers, the conflicts were often brutal to combatant and non-combatant alike. Technological advancements in weaponry during the Republic period also proved critically useful, as the proliferation of Colt revolvers allowed the Rangers to remain on horseback during fighting and break their enemies with powerful mounted charges that poured great volumes of fire at close range into the disrupted foe. This brand of shock combat would characterize the Texan mode of fighting for decades to come. They would also create a hybrid breed of horse especially suited to their purposes and environment. A series of back and forth invasions between Texas and Mexico (culminating in the Woll Invasion of 1842, that briefly occupied San Antonio) further cemented the Rangers as the elite military arm of the state. However, the Woll Invasion in particular, which led many Tejano former rangers to switch sides, shattered the tenuous acceptability of a multi-ethnic Texas Rangers and led to increased suspicion of the loyalty of the Tejano population at large. In describing the Rangers's actions, Jennings also highlights instrumental leaders like Edward Burleson, John Coffee Hays, John S. Ford, Ben McCulloch, and others who became household names in Texas and famous beyond its borders. With Texas achieving statehood in 1845, the Rangers would defend Texas in cooperation with the U.S. Army and play a key role in the successful war against their frequent foe to the south. True to their tradition, the Texas Rangers operated as light cavalry (supplementing the badly overstretched Regular Army dragoons) and irregular fighters in both the northern and central campaigns of the U.S.-Mexican War of 1846-48. They would be so effective at suppressing bandits and guerrillas and clearing lines of communication between Winfield Scott's main army and its base at far away Vera Cruz, that they earned the grudging respect of the usually volunteer-disdaining Regular Army. The effectiveness did have a dark component, too, with the kind of civilian and combatant abuses and killings committed in Mexico typical of the consequences of any large scale guerrilla insurgency but with Texas passions inflamed further by the preceding decade of off and on warfare with invading Mexican forces in Texas and lingering anger from the mass killing of surrendered Texians at Goliad and other places. The Rangers in Central Mexico became justifiably famous for their well-honed skills in counter-guerrilla operations and Jennings persuasively argues in the book that they deserve a great deal of credit for solidifying the occupation and allowing U.S. authorities to negotiate an end to the conflict from a position of great strength. After the war, the Rangers would again shift to combating omnipresent tribal raiders on the home front, cooperating with the Regular Army in establishing and manning a chain of frontier posts. It was a difficult relationship, though. While the federal government spent large sums representing a hefty proportion of the nation's limited military budget for their protection, Texans generally chafed under the inadequacy of the system and this resentment went some way toward making secession easier to accept. The Civil War years contrasted sharply with earlier eras of limited, short-term mobilization. During 1861-65, Texas sent an astounding 61 cavalry regiments and 39 cavalry battalions into Confederate service, far more than any state on either side. By contrast, the state mobilized 28 infantry regiments and 13 infantry battalions. Oddly enough, it would be the infantry formations like Hood's Texas Brigade, not the cavalry, that would garner the widest fame. Unlike Hood's Texans in Virginia, most of the cavalry units (many of these later dismounted) would labor in comparative obscurity in the West and in the Trans-Mississippi theater. Rather than offering a general survey of this vast manpower contribution to the Confederate war effort, Jennings wisely chose in the book to select and focus upon only a handful of units representative of the continuance of Texas mounted martial traditions into the Civil War. Jennings uses the experiences of the 8th Texas Cavalry regiment (Terry's Texas Rangers) and Ross's Texas Cavalry Brigade to demonstrate the effectiveness of Texas-brand pistol and shotgun shock charges in the war's early stages, as well as the usefulness of their scouting and raiding skills. 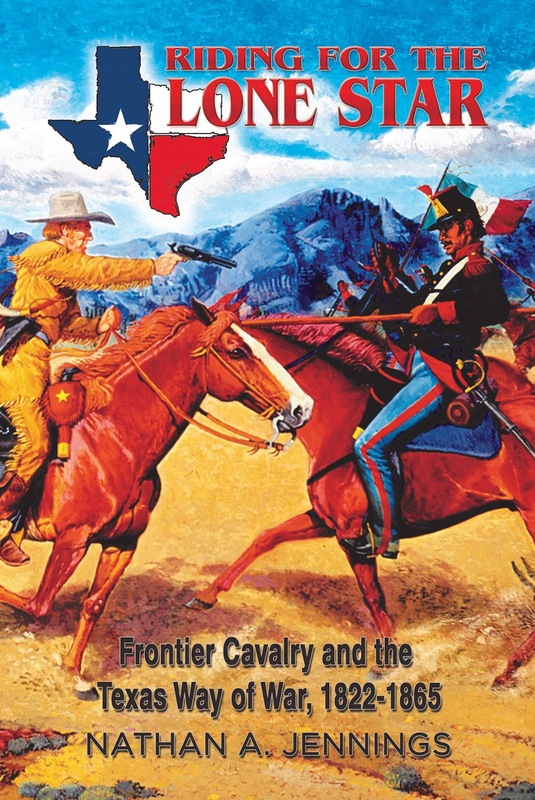 However, given the book's recurring theme of adaptation, the narrative misses an opportunity to substantially address what measures, if any, these Texas cavalry units took to cope with the middle and late war evolutions of the Civil War battlefield. In the Far West, the disastrous failure of the Sibley Brigade's campaign to seize New Mexico Territory and Arizona in 1861-62 showed the limitations of the Texas way of war, with mounted units unsuited to occupation and operating over great distances without robust logistical support. The Frontier Regiment had similarly mixed results during the Civil War, being ill supported and far too small to adequately protect Texas's vast Indian frontier stretching hundreds of miles along the northern and western borders of white settlement. Riding for the Lone Star combines limited manuscript research with an able synthesis of the published literature to arrive at a remarkably well organized and convincing thematically-driven assessment of how militant Texas society managed the constant conflict marking the four decades of its existence preceding the end of the Civil War. Jennings perceptively traces this evolution through eight meaningful stages of development (Colonial, Revolutionary, Early Republic, Middle Republic, Late Republic, Mexican-American War, Antebellum conflict, and the Civil War) and skillfully matches discussion of the incremental changes described therein with numerous detailed examples supportive of his thesis. While acknowledging the more unsavory aspects of the Texas Rangers, Jennings also adopts a more measured tone and even-handed analysis than that found in some of the most aggressively corrective recent scholarship. • Bonds of Union: Religion, Race, and Politics in a Civil War Borderland by Bridget Ford (UNC Press, 2016). A new generation of scholarship dealing with the geographical and cultural nexus between North and South is reassessing the distinct borders of the past, like the Ohio River, and finding far more connections than barriers. It is a major theme of Christopher Phillips's soon to be released study of what he calls the Middle Border and it also figures prominently in Bridget Ford's new book, which "reveals how unexpected bonds of union forged among diverse peoples in the Ohio-Kentucky borderlands furthered emancipation through a period of spiraling chaos between 1830 and 1865." Ford moves beyond older scholarship emphasizing the political and economic ties that kept Kentucky in the Union. Instead, she "recovers the potent religious, racial, and political attachments holding the country together at one of its most likely breaking points, the Ohio River." In doing so, she finds "(i)n their common pursuits of religious devotionalism, universal public education regardless of race, and relief from suffering during wartime, ... a surprisingly capacious and inclusive sense of political union in the Civil War era. While accounting for the era's many disintegrative forces, Ford reveals the imaginative work that went into bridging stark differences in lived experience, and she posits that work as a precondition for slavery's end and the Union's persistence." • The Life of Ten Bears: Comanche Historical Narratives collected by Francis Joseph Attocknie, edited by Thomas W. Kavanagh (Univ of Neb Pr, 2016). Attocknie is the great-great-grandson of Ten Bears and this book is his collection of 19th-century Comanche oral histories passed down about Ten Bears and his family to their descendants. The first chapter, titled "The Life of Ten Bears" is presented in narrative timeline fashion and was compiled from several sources. "Other narratives in this collection reference lesser-known family members. These narratives are about the historical episodes that Attocknie’s family thought were worth remembering and add a unique perspective on Comanche society and tradition as experienced through several generations of his family." Author of books on Comanche ethnography and history, Kavanagh is well suited to the project and his introduction "adds context to the personal narratives by discussing the process of transmission. These narratives serve multiple purposes for Comanche families and communities. Some autobiographical accounts, “recounting” brave deeds and war honors, function as validation of status claims, while others illustrate the giving of names; still others recall humorous situations, song-ridicules, slapstick, and tragedies." Notes are sparse but Kavanagh also adds a helpful lexicon appendix, a small bibliography and an index. One would imagine this collection will become a very useful resource for scholars. Drexler, ed. : "HISTORICAL ARCHAEOLOGY OF ARKANSAS: A Hidden Diversity"
Though the disciplines of historical and conflict archaeology hardly need to justify themselves at this point, the nine essays in Historical Archaeology of Arkansas: A Hidden Diversity provide yet more ample evidence of the fruits gained by the interdisciplinary approach to historical investigation. Volume editor Carl Drexler's introduction surveys historical archaeology in Arkansas from the early excavations of the 1940s to the more sophisticated ones of today, listing the major projects that have been completed. Leslie Stewart-Abernathy's first chapter explores why we should conduct and support historical archaeology. Its practitioners do it for preservation purposes, artifact understanding, complementing the written historical record, and raising awareness of understudied groups. Mary Brennan's following essay describes the work done at Treat, Arkansas, a small community of extended family that worked the land from the 1840s to well into the twentieth century. She notes that archaeology was vital to discovering and interpreting physical spatial relationships (e.g. between homesteads, buildings, boundaries, farms, etc. ), which led to improved understanding of the layout and hierarchy of frontier family networks. The archaeologists at Treat gained cultural insights into survival techniques while also uncovering evidence demonstrating how the local environment was impacted and manipulated. The first of two Civil War-related chapters* is authored by Duncan McKinnon and is a study of the Confederate cemetery at Fayetteville, which was created by the ladies of the Washington County branch of the Southern Memorial Association. The ambitious goal was to reinter all known Confederate dead located in grave sites all over NW Arkansas. The majority of remains removed to the cemetery were the slain of the Pea Ridge and Prairie Grove battles, and these were collected between April and May 1873. The octagonal-shaped cemetery itself was dedicated on June 14, 1873, with burial plots subdivided by state and arranged into four pyramidal, raised beds creatively oriented along the cardinal axes of direction (Missouri-N, Arkansas-E, Texas-W and Louisiana-S). A geophysical survey using ground penetrating radar was performed in the early 2000s to determine whether the beds were composed of mass graves (with the mostly nameless marble headstones symbolic and/or representative of numbers) or individual burials. It turns out the latter was the case. Further work is needed to correlate individual ground anomalies (presumably associated with graves) with the surface and buried markers located above them. Five chapters look at the historical archaeology of commercial and domestic buildings. Andrew Buchner explores the findings of a historical and archaeological investigation of a stoneware manufacturing site at Benton, Arkansas. The piece connects the Howe pottery to the leading factory enterprise of NW Arkansas during the late 19th century, with the project's kiln, waster pile, clay pit, and artifact studies providing a great deal of evidence regarding the technology, facility layout, practices, maker's marks, and consumer wants of the industry. Alicia Valentino's essay next examines the blacksmith shop attached to the well known Van Winkle mill complex. Archaeology was key to discovering the layout of the shop, as well as the tools, equipment, and technology used, but the findings also complement historical inquiries into the leading role smithing played in serving the needs of frontier communities. Jamie Brandon and Jerry Hilliard's piece began with the task of determining what might be learned from excavating a site thought to have been Zachary Taylor's log home in Fort Smith, but it ended with a greater appreciation of the Catholic presence in frontier Arkansas, with the building converted into the first convent of the Sisters of Mercy. Eric Proebsting's chapter interprets the antebellum pioneer history of the Lewis homestead, where archaeologists discovered key details about its log home architecture, who built it, and the materials involved. David Markus's chapter is a detailed archaeological assessment of the urban home and detached slave dwelling of the merchant Block family of Washington, Arkansas. While it is apparently common to not find much in the way of artifacts marking religious identity in antebellum Jewish homes, the investigation did find enough material culture to gain some understanding of Jewish life in the Upper South. The other Civil War chapter, authored by Carl Drexler, begins with an overview of conflict archaeology in Arkansas, listing previous work on fortifications, battlefields, army camps, and home front sites. Differing from extensive aggregrate studies of artifacts numbering in the hundreds and thousands (e.g. the sweeping early 2000s studies of the Pea Ridge and Wilson's Creek battlefields by Doug Scott et al), Drexler's chapter is most concerned with an interesting small find consisting of a case shot fragment and canister balls consistent only with 24-pounder howitzer ammunition, the most interesting part of this being that the only battery from either army armed with those guns (Landis's Missouri State Guard battery of 2 24-lb howitzers and 2 12-lb howitzers) was by scholarly consensus not present during the battle. Drexler dismisses the possibility [perhaps too hastily?] of an undocumented possession of one of those guns by another battery (Union or Confederate) in favor of his determination that a portion of Landis's Battery must have been on the field. However, Landis himself clearly stated in his 1895 battery history that the unit did not fight at Pea Ridge and there is no written documentation from any other source that might suggest otherwise. However persuasive one finds Drexler's article, it does demonstrate at least the possibility of small archaeological finds (even single artifacts) altering established interpretation of Civil War battles. This specific question regarding the Landis gun is also not entirely academic. One of Landis's howitzers was recently discovered among the Petersburg collection of artillery tubes, and an inter-park trade request has hitherto been quashed due to the above mentioned discrepancy in the historical record. If accepted, Drexler's new argument might result in getting that 24-lb howitzer to Pea Ridge National Military Park, where it can join the ranks of other material objects that offer tangible bridges to the past for battlefield visitors. It's an interesting mystery, but it seems more evidence is needed. 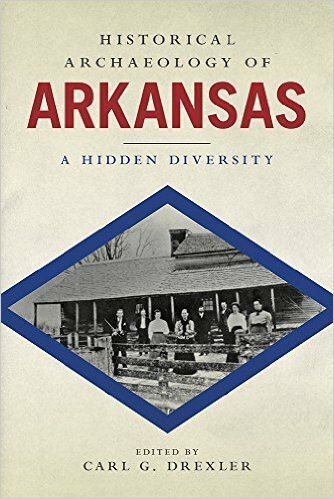 Taken together, the essays in Historical Archaeology of Arkansas comprise a very strong supporting argument for the utility of the field in understanding Arkansas's 19th century society, culture, architecture, technology, industrial and economic activities, and conflict history. • Drexler, Carl G. "Thunder in the Hollow: The Archaeology of Missouri State Guard Artillery at the Battle of Pea Ridge." Historical Archaeology of Arkansas: A Hidden Diversity. Ed. Carl G. Drexler. Knoxville: University of Tennessee Press, 2016. 163-190. Print. • McKinnon, Duncan P. "A Symbolic and Sacred Landscape: The Confederate Cemetery in Fayetteville, Arkansas." Historical Archaeology of Arkansas: A Hidden Diversity. Ed. Carl G. Drexler. Knoxville: University of Tennessee Press, 2016. 45-56. Print. Given the generally paltry rewards they usually offer at this point, I tend to avoid books of the broadest "A ___ History of the Civil War" variety. Over the past couple decades, a handful of authors have attempted to synthesize the campaign literature. Herman Hattaway's Shades of Blue and Gray: An Introductory Military History of the Civil War (1997) and David Eicher's bulky The Longest Night: A Military History of the Civil War (2001) received mixed reviews (like many books do) but John Keegan's The American Civil War: A Military History (2009) is apparently wretched almost beyond belief. One might also include Russell Weigley's well regarded study A Great Civil War: A Military and Political History, 1861-1865 (2000) in the bunch. To get to the main point, later this year Princeton will release Williamson Murray and Wayne Wei-siang Hsieh's A Savage War: A Military History of the Civil War . Among Murray's extensive writings on warfare and strategy, I've only read portions of his WW2 book co-authored with Allen Millett but I rather liked Hsieh's West Pointers and the Civil War: The Old Army in War and Peace. I would like to give this new one a look. Jane Johansson's Albert C. Ellithorpe, the First Indian Home Guards, and the Civil War on the Trans-Mississippi Frontier now has a release date for late November of this year. LSU Press typically meets (and often beats) their advanced dates so there's no reason not to expect to get this in late fall. I've long wished for full unit histories of the Indian Home Guard regiments but the author's admission that that is not a main feature of this particular book does not lessen the anticipation. "Major Ellithorpe's unit comprised primarily of refugee Muscogee Creek and Seminole Indians and African Americans who served as interpreters fought principally in Arkansas and Indian Territory, isolated from the larger currents of the Civil War. Using Ellithorpe's journal and his series of Chicago Evening Journal articles as her main sources, M. Jane Johansson unravels this exceptional account,..." "Ellithorpe's insightful observations on Indians and civilians as well as the war in the trans-Mississippi theater provide a rare glimpse into a largely forgotten aspect of the conflict. He wrote extensively about the role of Indian troops, who served primarily as scouts and skirmishers, and on the nature of guerrilla warfare in the West." is heading to Cedar Mountain (for the first time, I believe). Looking through the list of back issues, only 2 out of the last 62 have tackled Trans-Mississippi Civil War topics. I understand the unforgiving market forces involved with magazine publishing but I was really hoping B&G could do much better than that. I had surmised that Earl Hess's recent article reassessing Bragg's generalship at Stones River in Border Wars: The Civil War in Tennessee and Kentucky presaged the release of his own already anticipated full study of that battle. Turns out instead that he's finished a biography of that gentle soul. Braxton Bragg: The Best-Hated Man of the Confederacy is scheduled for publication later this year by UNC Press (the publisher doesn't have a book page up yet to confirm but I am guessing, given the heading of Hess's recent talks and the later audio version's title, that the print title given at the destination linked to above is temporarily incorrect). 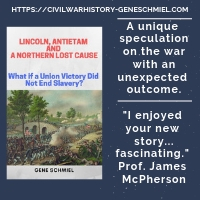 • Agent of Mercy: The Untold Story of Dr. Archibald S. Maxwell Civil War Surgeon & Iowa State Sanitary Agent by George C. Maxwell (CreateSpace-Author, 2015). "When the Civil War began, Dr. Archibald S. Maxwell was a city doctor and surgeon in Davenport, Iowa. After the Battle of Fort Donelson in February 1862, he volunteered to provide his medical services to the sick and wounded Union soldiers, kicking off an active two years of service. In that two-year period, few Civil War surgeons and doctors played as many different roles as Dr. Archibald S. Maxwell. He was a member of the Scott County Soldiers Relief Association, a surgeon in various capacities at the front, Military Hospital Assistant Surgeon in Keokuk, Iowa and Professor of Physiology and Pathology at the Physicians and Surgeons College in Keokuk, Iowa. Finally, he served as an Iowa state sanitary agent along with Iowa State Sanitary Agent Annie Wittenmyer." 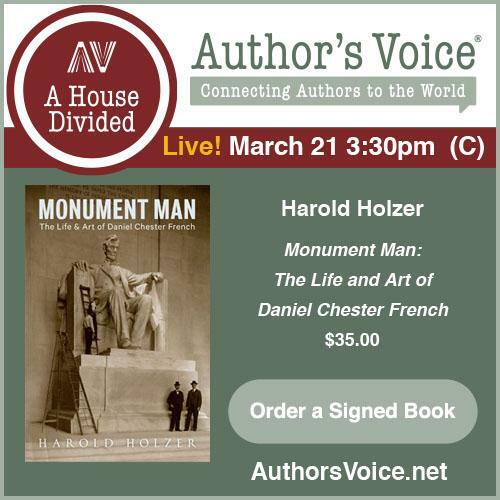 The author is the great-great-great grandson of Dr. Maxwell and uses family papers as well as those of Maxwell's colleagues to tell the story of his ancestor's service. The book includes as an appendix the sick report for Iowa units serving in the Mississippi River Valley submitted to the Iowa governor in late 1863 and also disease statistics Maxwell compiled during the same period for Union military hospitals at or near Memphis, Vicksburg and New Orleans. According to the author, these were discovered during his archival research and they did not make it into the published annual reports. de la Teja, ed. : "LONE STAR UNIONISM, DISSENT, AND RESISTANCE: Other Sides of Civil War Texas"
With the possible exception of South Carolina, serious anti-government forces appeared in every Confederate state during the Civil War. 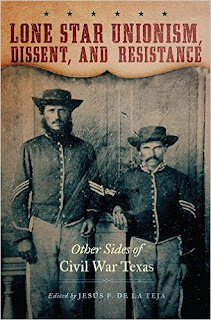 In recent decades, these dissenting voices have received increased attention in books and scholarly journal articles and all are given the stage in the new essay anthology Lone Star Unionism, Dissent, and Resistance: Other Sides of Civil War Texas, edited by historian Jesús de la Teja. The first chapter by Laura Lyons McLemore surveys the difficulty (or rather the impossibility) of arriving at a consensus memory of the Civil War in Texas given the various and opposing actors involved, from both pro and anti-Confederate white and Tejano populations to recent foreign immigrant groups (i.e. the Germans) to slaves. In terms of memorialization and monumentation (movements headed by women's groups like the the UDC), McLemore also demonstrates how Confederate memory was also in competition with Texas's own unique independent and frontier history and identity, all of which made it distinctly different from the standard Lost Cause attitudes adopted by other Deep South states. Many Texans did not even consider themselves part of the Deep South. Andrew Torget's following piece examines the issue of runaway Texas slaves during the war. Interestingly, what started as a steady trickle of escapes (over the national border into Mexico, out to blockading ships at sea, or into Union-held Louisiana) had increased to such an extent by the mid-point of the war that some newspaper editors publicly advocated mass enlistment into the Confederate army as a method of social control, seemingly with little regard for how this would affect operations and how much strain it would place on already tenuous army logistics in the Trans-Mississippi. Forced to adopt the admittedly flawed methodology of tracking escape notices published in the newspapers, Torget also highlights the difficulty of counting the number of slaves that fled their masters during a given time period of the war. Beginning in 1862, the inexorable Union advance down the Mississippi River Valley led to a mass exodus of white families and their slaves to Texas and Caleb McDaniel argues that these tens of thousands of "refugeed" slaves constituted a body of anti-Confederate dissent, always on the lookout to advance their own circumstances. This might be obvious but McDaniel seeks to break away from what he sees as a still popular characterization of refugeed slaves as "passive dependents" or, in an even more archaic view, "faithful servants." The essay also discusses the primary employment of these enslaved newcomers to Texas, as workers of land leased by their owners or contract labor for industry (domestic and war-related) and agriculture. Victoria Bynum's contribution tells the tale of anti-Confederate resistance in the Big Thicket region of East Texas, specifically a small band under the leadership of Warren Collins. Noting the general lack of official documents related to the area as well as reliable firsthand sources pertaining to the political views of Warren's band of jayhawkers, Bynum (who would know this perhaps better than any living scholar of the war's inner conflict) appreciates the research value of family folklore and local history but also the significant shortcomings of both. She also writes about family connections between the Mississippi branch of the Collins clan and famed Newt Knight, while also drawing parallels between Warren Collins's late life Socialist Party political opposition to large timber interests in East Texas and his earlier stance against what he viewed as Texas's planter dominated politics of the Civil War period. The traditional reputation of German-Americans as the most reliable pro-Union and anti-slavery immigrant ethnic group in the Civil War era has received some scholarly push back in recent years but Walter Kamphoefner's essay emphatically reasserts German exceptionalism. His critical reassessment of some of the data used by other scholars and his own personal examination of many soldier letters lend support to his main arguments that Germans were not generally integrated into the mainstream of Texas society and politics by 1860, were never enthusiastic about slavery, and were lukewarm supporters of the Cause at best (with expedience trumping ideology). That said, rather than taking German-Texans as a whole, Kamphoefner might have directly addressed Charles Grear's analysis in Why Texans Fought in the Civil War of a clear contrast between the Unionist and abolitionist stances of direct German immigrants and the more acculturated ones from those that had lived and worked in other southern states prior to arriving in Texas. Nevertheless, even when it seems the evidence is sometimes stretched to fit the conclusion, the writer's arguments remain on the highly plausible end of the spectrum. The near universal illiteracy of rank and file Tejano Civil War soldiers has always taxed the ability of scholars to interpret their reasons for joining the volunteer armies of either side. Historians have traditionally centered either on economic motivations, local and familial ties, or practical hopes that service might result in social and citizenship rewards previously denied them, but Omar Valerio-Jimenez's chapter dealing with Tejano Unionism in the lower Rio Grande Valley posits that ideology comprised a far greater enlistment factor than previously credited by scholars. While it may or may not have been true that illiteracy did not form a barrier to understanding the national politics that divided North and South, or that poor Tejanos were indeed politically engaged on these issues, the essay's inferential evidence is not entirely convincing. As other scholars have discovered*, making sense of the frontier West's borderland loyalties is very difficult and the ability to separate principled Unionist stands among the vast majority of resistors from those attitudes simply anti-Confederate, anti-Texas or anti-authority in nature is practically impossible. But that doesn't mean one can't try. On a related front, another major theme of the essay involves Valerio-Jimenez's discussion of the social acceptance and integration of ex-slaves (to include intermarriage) into Tejano and Mexican border communities. Tainted Breeze author Richard McCaslin discusses in his contribution perhaps the most well known pocket of anti-Confederate resisters, the Unionists of North Texas, and the harsh suppressive measures directed against them by state and Confederate military authorities (the most infamous being the "Great Hanging" at Gainesville in 1862). Rebecca Czuchry next addressed how black women, with Freedman's Bureau assistance, protected their families from racial violence during Reconstruction. Following Czuchry is Elizabeth Hayes Turner's summary history of emancipation in Texas and her examination of the Juneteenth celebration of black freedom and newly won citizenship. The final essay is Carl Moneyhon's biographical feature on Edmund J. Davis, a Union general and convert to radical politics who served as a Republican Texas governor supporting black suffrage and civil rights. Taken together, the essays collected in this volume offer a more than reasonably comprehensive survey of the many groups that internally resisted Confederate Texas and what it stood for during the Civil War and Reconstruction years. No other single volume in the literature gathers together such an impressive host of topics under the common theme of anti-Confederate Texans. Lone Star Unionism, Dissent, and Resistance splendidly reveals many common features of the inner wars that raged across the Confederacy as well as many aspects unique to the Texas experience. It is highly recommended. * - Most recently, in their in-depth studies of native Spanish-speaking volunteers in the Union Army, both Tom Prezelski [Californio Lancers: The 1st Battalion of Native Cavalry in the Far West, 1863 - 1866 (2015)] and Jerry Thompson [A Civil War History of the New Mexico Volunteers and Militia (2015)] ranked ideology low on their lists of possible enlistment motivators. Thompson also discovered abundant evidence of ingrained remnants of the old peonage system in New Mexico (one that some volunteers sought to escape). If this was also a motivating factor among the poorest residents of South Texas, it is unmentioned in Valerio-Jimenez's essay. • The Tennessee Campaign of 1864 edited by Steven E. Woodworth and Charles D. Grear (SIUP, 2016). This latest volume in the well regarded Civil War Campaigns in the Heartland series from Southern Illinois University Press contains 14 essays, including the previously unpublished campaign diary of Patrick Cleburne (edited by Lee White) that I briefly mentioned on the site a while back. "Contributors explore the campaign’s battlefield action, including how Major General Andrew J. Smith’s three aggressive divisions of the Army of Tennessee became the most successful Federal unit at Nashville, how vastly outnumbered Union troops held the Allatoona Pass, why Hood failed at Spring Hill and how the event has been perceived, and why so many of the Army of Tennessee’s officer corps died at the Battle of Franklin, where the Confederacy suffered a disastrous blow. Essays on the strained relationship between Ulysses S. Grant and George H. Thomas and on Thomas’s approach to warfare reveal much about the personalities involved, and chapters about civilians in the campaign’s path and those miles away show how the war affected people not involved in the fighting. An innovative case study of the fighting at Franklin investigates the emotional and psychological impact of killing on the battlefield, and other implications of the campaign include how the courageous actions of the U.S. Colored Troops at Nashville made a lasting impact on the African American community and how preservation efforts met with differing results at Franklin and Nashville." • The Collapse of Price's Raid: The Beginning of the End in Civil War Missouri by Mark A. Lause (Univ of Missouri Pr, 2016). This book picks up where Lause left off in Price's Lost Campaign: The 1864 Invasion of Missouri (2011), with the Confederate Army of Missouri in the center of the state, its hopes of fostering a popular uprising and "liberating" Missouri from Union occupation dashed. The Collapse of Price's Raid follows the failing operation through Boonville, Glasgow and Independence before climaxing at the Battle of Westport and ending with the hurried retreat south through eastern Kansas, Indian Territory, Texas and back to Arkansas. The two volumes comprise a narrative integrating military, social, political and cultural history. I had mixed feelings about the first book [see my review] but was still looking forward to the follow up. Unfortunately, some omissions have carried over. Collapse gets off on the wrong foot by having no maps or illustrations. A bibliography is missing, too, although it's entirely possible the one in the first volume suffices to cover all the sources used in Lause's research. The notes do show a preponderance of primary source research. • Musket Ball and Small Shot Identification: A Guide by Daniel M. Sivilich (Univ of Okla Pr, 2016). In recent decades, conflict archaeology has made great strides in technique, technology and interpretation, and the practitioner's ability to analyze small arms ammunition is an important part of understanding what happened at any gunpowder-era battlefield. With over three hundred photographs and illustrations, Daniel Sivilich's new guide to musket ball identification "from the oldest formed to those fired in the early nineteenth century" looks to be a very useful (and technically detailed) reference tool for professionals and amateurs alike. "Musket Ball and Small Shot Identification: A Guide traces the history of musket balls and small shot, and explores their uses as lethal projectiles and in nonlethal alterations. Sivilich asks—and answers—a variety of questions to demonstrate how a musket ball found in a military context can help to interpret the site: Was it fired? What did it hit? What type of gun is it associated with? Has it been chewed, and if so, by whom or what? Was it hammered into gaming pieces? By equipping historians and archaeologists with the information necessary for answering these questions, Sivilich’s accessible work opens new views into firing lines, casualty areas, and military camps. It dispels long-held misperceptions about lead shot having been bitten by humans, offers examples of shot altered to improve lethality, and discusses balls made of materials other than lead, such as pewter." Unfortunately for us, the period range mentioned above looks concrete so I didn't see any Civil War content (beyond a single photograph of a CW-era buck and ball preparation) when quickly thumbing through the volume. The author is a Rev War expert so most case studies come from that conflict plus others from all around the world. • Fort Bascom: Soldiers, Comancheros, and Indians in the Canadian River Valley by James Bailey Blackshear (Univ of Okla Pr, 2016). In 1862, the Confederate invasion of New Mexico Territory ended in disaster but the victorious Union forces that reoccupied the area constantly worried over the next two years about a renewed attack from Texas. In 1863, they built Fort Bascom near the Texas border along the banks of the Canadian River. Named after a Union officer killed at the Battle of Valverde, the fort defended the local population from Confederate and Southern Plains Indian raids. In Fort Bascom, author James Blackshear "presents the definitive history of this critical outpost in the American Southwest, along with a detailed view of army life on the late-nineteenth-century western frontier" and "shows the difficulties of maintaining a post in a harsh environment where scarce water and forage, long supply lines, poorly constructed facilities, and monotonous duty tested soldiers’ endurance." In discussing the army's attempts to subjugate raiding Comanches and Kiowas, the book also examines frontier army logistics and the negative impact of the Comanchero trade. • Washington County in the Civil War by Stephen R. Bockmiller (Arcadia Pub, 2016). "Washington County's involvement in the Civil War conjures images of the terrible aftermath of the Battle of Antietam. But many other events occurred there during the war. Wedged into a narrow neck between Pennsylvania and West Virginia, the area was the setting for many important events in the conflict. From John Brown launching his raid on nearby Harpers Ferry at the Kennedy Farm in 1859 to the dragnet that ensnared local citizens following President Lincolns assassination in 1865, the military was a constant presence. Antietam changed the course of the war and provided President Lincoln the military events needed to issue the Emancipation Proclamation. Harpers Ferry, the C&O Canal, and several rail lines were of vital importance for projecting Union strength into the Shenandoah Valley. They were regularly attacked and defended, and Hagerstown was nearly burned in 1864." This is the latest Civil War related entry in the publisher's Images of America series, which are basically compilations of images arranged chronologically or by theme, with paragraph-sized captions attached. Photographs of individuals (soldiers and civilians) associated with Washington County, Maryland predominate but there are also reproductions of historical documents, artwork, newspaper illustrations, monuments, homes, towns, buildings and landscapes. 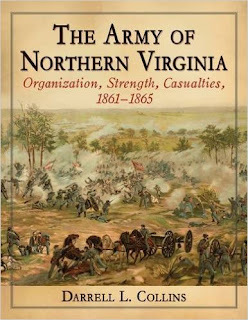 Collins: "THE ARMY OF NORTHERN VIRGINIA: Organization, Strength, Casualties 1861-1865"
Back in 2013, Darrell Collins published The Army of the Potomac: Order of Battle, 1861-1865, with Commanders, Strengths, Losses and More. His newest book, the companion volume The Army of Northern Virginia: Organization, Strength, Casualties 1861-1865, is a marked improvement in the amount of useful content and in presentation. The book is divided into three main parts [I. Organization Reports, II. Present for Duty Reports, and III. Casualty Reports] with subsections which will be described below. Section I is primarily composed of the standard, basic top-down army orders of battle that one finds in modern Civil War campaign and battle histories. The complete army organizational structure is examined at approximately a half dozen different dates during a given year over 1861-65. In them, Collins includes not only the Army of Northern Virginia and its early war predecessor but also associated garrison forces and the units of the nearby Department of North Carolina (a frequent source of unit transfers back and forth with the ANV throughout the conflict). The lowest level units represented in the organizational tables are regiments, battalions, independent companies and batteries (with some gun composition data), and their commanders are also frequently cited. The author also takes the exercise one step further, providing extensive commander timelines for each regiment, battalion and battery (also with unit muster-in dates). As one might guess, information is sometimes fragmentary, but basically the reader can readily find the commander of any unit at any given time during the war. The present-for-duty (PFD) tables in Section II are arranged into eight columns [headings for unit designation, effective officers, effective men, effective total, total present, present and absent, % present, and guns] and, as is the case for many other parts of the book, the amount of detail available from the Official Records varies for a given time period. These reports were supposed to be submitted every ten days but surviving records are greatly incomplete. Unit level is generally at division or above, with spot presence of brigade and regimental numbers. There is some rudimentary analysis of strength changes over time in the corps and division summaries located near the end of the section. Using orders of battle for each major campaign as a template, Section III tabulates ANV casualty reports in seven columns [headings for unit name, number present, KIA, WIA, MIA, total and casualty %]. Like before, completeness of information varies. The treatment also extends to campaigns outside the ANV's theater of operations when involving major elements of the army (ex. Longstreet's Corps at Chickamauga, Lookout Mountain and Knoxville). The book helpfully offers both a commander index and a unit index. Like the author's Army of the Potomac volume did before it, the ANV reference guide relies almost entirely on information contained in the O.R., with some spot help this time around from the works of Joseph Crute and Stewart Sifakis along with Alfred Young's recent Overland Campaign numerical study. The most demanding readers of books like this really want regimental strength numbers and battery compositions and there just aren't very many of them in either of Collins's volumes. Nevertheless, there is more than enough other content present to assuage the disappointment of what's missing. Darrell Collins once again deserves considerable credit for laboriously extracting available army order of battle, number and loss data from the O.R. and reassembling it into an easily accessible series of reference tables. • Lone Star Unionism, Dissent, and Resistance: Other Sides of Civil War Texas edited by Jesús F. de la Teja (Univ of Okla Pr, 2016). You can't throw a rock in a Civil War research library (and I don't recommend you try) without hitting someone studying internal dissent in the Confederate states. The upcoming release of the movie adaptation of The Free State of Jones will probably bring even more attention to the subject. This volume of essays (which has a contribution from Jones author Victoria Bynum) investigates a wide array of Texas topics related to the inner war, including Confederate memory in the state, wartime slave flight, slaves brought into the state during the war for (presumed) safekeeping, East Texas Unionism, German Unionists, Tejano Unionism, Confederate violence against Unionists, racial violence during Reconstruction, Juneteenth, and a profile of Texas Unionist and U.S. volunteer general Edmund Davis. "Lone Star Unionism, Dissent, and Resistance reveals how friends and neighbors became enemies and how the resulting violence, often at the hands of secessionists, crossed racial and ethnic lines. The chapters also show how ex-Confederates and their descendants, as well as former slaves, sought to give historical meaning to their experiences and find their place as citizens of the newly re-formed nation." • Let Us Die Like Men: The Battle of Franklin, November 30, 1864 by William Lee White. • Attack at Daylight and Whip Them: The Battle of Shiloh, April 6-7, 1862 by Gregory Mertz. • A Long and Bloody Task: The Atlanta Campaign from Dalton through Kennesaw to the Chattahoochee, May 5-July 18, 1864 by Stephen Davis. • All the Fighting They Want: The Atlanta Campaign from Peach Tree Creek to the Surrender, July 18-September 2, 1864 by Stephen Davis. Maybe they will cross the Mississippi someday. • Riding for the Lone Star: Frontier Cavalry and the Texas Way of War, 1822-1865 by Nathan A. Jennings (Univ of N Texas Pr, 2016). Why walk when you can ride. Jennings suggests that nineteenth century Texans developed a distinctive mode of fighting, one "defined by armed horsemanship, volunteer militancy, and short-term mobilization as it grappled with both tribal and international opponents." "Drawing upon military reports, participants’ memoirs, and government documents, cavalry officer Nathan A. Jennings analyzes the evolution of Texan militarism from tribal clashes of colonial Tejas, territorial wars of the Texas Republic, the Mexican-American War, border conflicts of antebellum Texas, and the cataclysmic Civil War. In each conflict Texan volunteers answered the call to arms with marked enthusiasm for mounted combat. Riding for the Lone Star explores this societal passion—with emphasis on the historic rise of the Texas Rangers—through unflinching examination of territorial competition with Comanches, Mexicans, and Unionists. Even as statesmen Stephen F. Austin and Sam Houston emerged as influential strategic leaders, captains like Edward Burleson, John Coffee Hays, and John Salmon Ford attained fame for tactical success." Only one chapter covers the Civil War but it will be interesting to see what arguments it contains. Back in the pre-Internet days of mail order book buying, I used to love getting the latest Morningside catalog in the mail. They were a cherished reference for serious readers looking to expand their home library of Civil War titles. Far less enjoyable was talking to proprietor Bob Younger on the phone. I never met him in person, and I wish I could have visited the store sometime, but ordering books from him was a unique experience. I was a good, regular customer but was always left with the impression my patronage was the least important thing in the world to his business. So why go back? The gruff interface was always worth it. Morningside selection was incredible and if Bob didn't stock a title I wanted himself he always found it somewhere. My orders were always delivered to my door quickly and securely packaged in a double-walled box (the good old days of actually receiving new books still in new condition). He and his wife Mary also deserve a great deal of credit for publishing original works of merit (like Ed Bearss's 3-volume Vicksburg study) along with many quality classic reprints. The reason I'm bringing up all this is that the latest issue of Gettysburg Magazine (Number 54, Jan 2016) has a great "tribute" article by Sonny Fulks titled "Bob Younger: My Most Unforgettable Character." If you are still reading this post and have any idea what I am talking about, do yourself a favor and read Fulks's piece. You'll get a kick out of it, too. • Life and Limb: Perspectives on the American Civil War edited by David Seed, Stephen C. Kenny and Chris Williams (Liverpool Univ Pr, 2015). 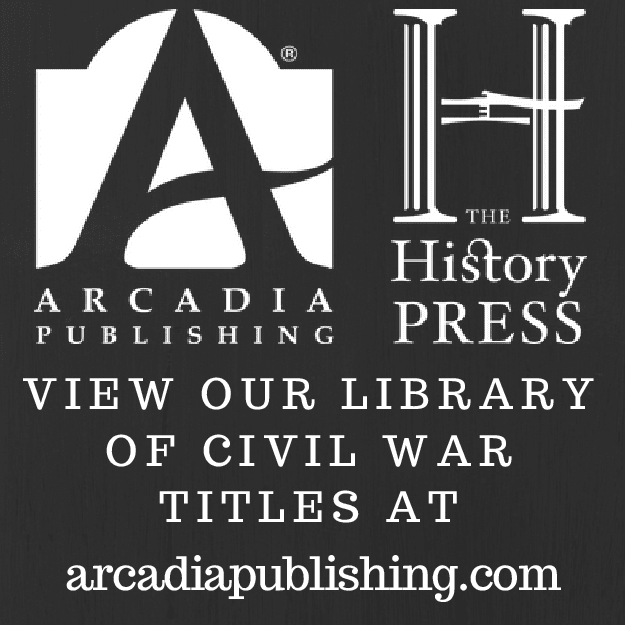 This is an edited collection of period writings on various aspects of Civil War medicine, categorized around physician memoirs, nursing accounts, hospital descriptions, disease pathology, photography, amputations, limb prosthetics, battle accounts and post-war narratives. The editors provide a general introduction as well as often lengthy preambles for each contribution and footnotes for some. "The contemporary perspectives - fiction, first-hand accounts, reportage and photographs - found in the pages of this collection give a unique insight into the experiences and suffering of those affected by the American Civil War. The essays and recollections detail some of the earliest attempts by medical professionals to understand and help the wounded, and look at how writers and poets were influenced by their own involvement as nurses, combatants and observers. So alongside the medical observations of figures such as Silas Weir Mitchell and William Keen, you'll find memoirs of writers including Louisa May Alcott, Ambrose Bierce and Walt Whitman." • Confederate Sharpshooter Major William E. Simmons: Through the War with the 16th Georgia Infantry and 3rd Battalion Georgia Sharpshooters by Joseph P. Byrd IV (Mercer Univ Pr, 2016). There's been a recent spike in interest in the mid to late war development of specialized sharpshooter battalions within the Army of Northern Virginia. Byrd's book is a detailed military biography of Georgia's Major William E. Simmons. "Three years after graduating from Emory College, Simmons joined the first company in his home county and received his commission. He was later promoted to Captain in the elite 3rd Battalion Georgia Sharpshooters of Wofford's Brigade. In 1864, he became acting commander of the brigade's sharpshooter battalion. The book traces his family heritage and his footsteps from childhood to Emory College, through many challenging war encounters, his capture and imprisonment at Fort Delaware, and a lifetime of service to his state and community that lasted until the 1930s." Chapters dealing with Simmons's early life and post-war activities are present but the bulk of the book focuses on the major's Civil War experiences during the Peninsula Campaign, Antietam, Fredericksburg, Chancellorsville, Gettysburg, Knoxville, and the 1864 fighting in Virginia before his capture in the Shenandoah. Appendices contain Simmons documents (including his prison journal), an obituary, statistical information and a Third Battalion roster. Looks like a great resource.